This great artist is doing a raffle! i apologize but i'm not gonna trust an account thats like 2-3 days old lol. must have been a dA member for a month to join. i have around 50 mentions right now. please dont ask me to search through my messages to find the spot where you mentioned me. 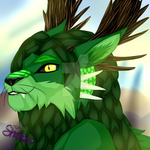 1000 deviantart points (for 1000 watchers!) and a fully lined and shaded piece w/ a background, of a character of your choice! ...you need to visit and love. Even though I haven't been that active on my DA page lately, I thought I'd post a little journal notice that I'll be gone for a few weeks! 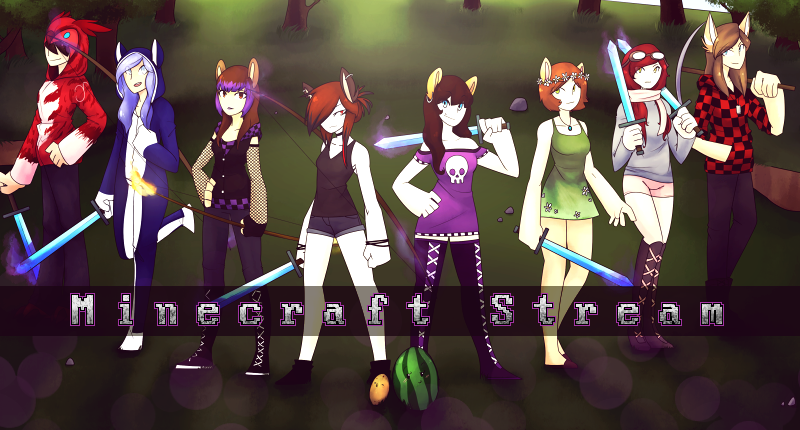 The group will be taken care of by warriorstrike and the rest of the staff while I'm gone! The server is being restarted, we will add the Ragnarok map instead and start over completely. If your parents do not approve of you playing a game where characters will be completely naked, this won't be the server for you. The server is purely PVE and offline raiding is prevented. 072. Waiting For: ...better times? Don't start any unnecessary drama. Don't bully | harass | hate | be a douche to/on people. We wont tolerate racism, sexism or discrimination in any kind (gender, sexual orientation, religion, nationality etc). Don't spam the text chat. Respect the staff and your fellow members. When posting in the Art channel, make sure it's your own art you're posting, or that you give proper credit to the creator of the art if you post anything made by someone other then yourself. Please keep in mind that the use of inappropriate words, immature | mature content may also be spoken | shown inside the channels. - If you're bothered | offended by such, then this might not be the place for you. There are general chitchat channels on Dicksword you can freely join. However if someone doesn't want to use voice chat, respect their choice. You will be warned, kicked, and possibly banned if you cannot follow these rules. I thought I'd post here since some of you have noticed I'm away alot right now, and commented about it. Long story short; I injured my shoulder this December, so badly that it needs a surgery that will happen now in February, and as you can imagine sitting by the computer isn't very comfortable atm. Frankly just sitting here writing this is killing my shoulder, and the rehab will not be very pleasant since shoulders are a bit hard to do surgery on. So in other words I'll be gone for a few weeks, I'll pop in here now and then to say hello and just see how you're all doing ofc. But other then that I can't do much else, so the art update will be 0% for awhile. With this I'll also ask you to PM the other staffers in the FH DA group, if you're in a hurry to get a reply, it's gonna take some time for me to be able to read and answer your PM's right now. Please take care, and I'll see you in a few weeks!! Just thought I'd write a little update, and of course also wish all of you a wonderful New Years Eve! I've been gone over the holidays, and we were suppose to go home today but sadly both me and my boyfriend caught the flu and we're still pretty under the weather, so we will most likely be forced to stay until Friday or Saturday. And also our New Year celebration will most likely not consist of more then laying in bed and trying to eat something! Still I managed to get on the parents computer, I wanted you all to know why I have been gone from here, FeralHeart and Skype as well. I really hope you all get to have a wonderful celebration, and that your Christmas was calm and beautiful! Please take care of yourself, and a special thank you to my wonderful friends, the FeralHeart community, and all the lovely supporters/watchers of my little DA page! This lovely girl mysteriousharu has opened some urgent commissions, and I can not stress enough how a fantastic artist she is. She has done many art pieces for me and I've always been more then pleased by the results. Just a little artist feature journal. Because these people, they are inspiring, they have such creativity and talent, their styles are different from each other yet I love them all. They deserve your watch, your comments and just plain love for their art and photos. So, take your time and visit these guys. Take a look at their fantastic art and give them some love. Warning! Explicit language may occur! Please read and help my friend! A friend's phone stopped working yesterday, and he really needs a new one! IT DOESN'T COST ANY KIND OF MONEY AND YOU DO NOT HAVE TO SIGN UP FOR ANYTHING!!! Visit the site to bump up the queue! And please share this journal with friends and such! I'm sorry to say I will be very inactive on here for a longer time, meaning I will not update this DA page, submit art and I will not be able to answer your PM's! Thank you for understanding and please take care! (FINISHED) WANT YOUR CHAR IN A COMIC??!! FINISHED !! and now i need YOUR characters to add to the story!! 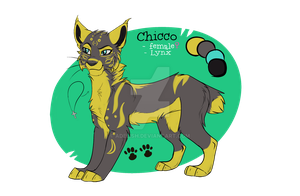 Lol, well Chicco is original if nothing else, sadly I haven't had her drawn as an anthro yet. Also as for some of the info, some things aren't decided/written so I'll just come up with something for this. Parents: Unknown, she has never met them. She was adopted by a family. Personality: Chicco has a naive and innocent personality, kind and sweet she's a bit oblivious that there can be bad people out there. She's very smart though, but not very experienced in anything really since she's been living a sheltered life. She's a kind soul who likes to take care and cheer up others. Important notes: Her original story, was that she was taken in by a family as a pet since she was so cute and small. As she grew, the family started to get annoyed with her since when she played she usually bumped in to things or destroyed them seeing she had no real control of herself. She loved to play with the two daughters in this family, but accidently scratched one of them badly when trying to play/snuggle her. She ended up being left in the forest; brought up as a spoiled pet she didn't know how to hunt or take care of herself. Backstory: (gonna be a bit lame, sorry for that) A bit spoiled and sheltered, but not a brat of any kind. Still in a private school she's studying healthcare and also loves to read more or less anything. Doesn't have many friends as the kids in her own age sees her as childish. Being very agile and small she also joined the gymnastics, which she enjoys. Mar 20, 2018 spxcepirate's raffle! Oct 20, 2016 Discord Server! Jun 4, 2016 Gaming Multistream - OFFLINE! Dec 30, 2015 A little update! Oct 31, 2015 Help a friend! Aug 25, 2015 Amazing artists. Aug 17, 2015 Please read and help my friend! Aug 12, 2015 A really generous raffle! Jul 20, 2015 Commissions - CLOSED! Mar 29, 2015 !! INACTIVE ! !